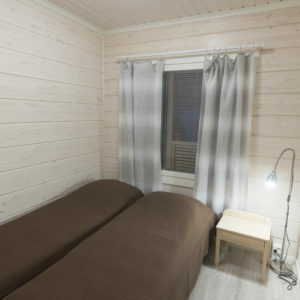 The cottage rental period starts at 4 pm and ends at 12 noon. 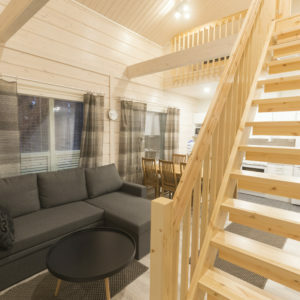 The timber semi-detached houses are located alongside Hossa National Park, by the crystal clear waters of Öllörijärvi lake. 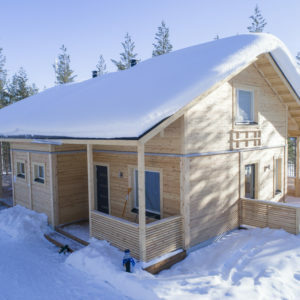 The routes and snowmobile trails of the national park can be accessed directly from the houses. . 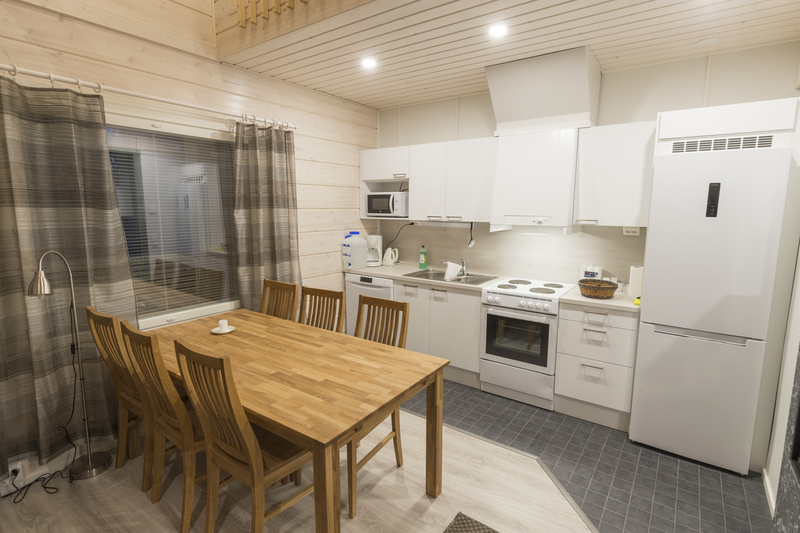 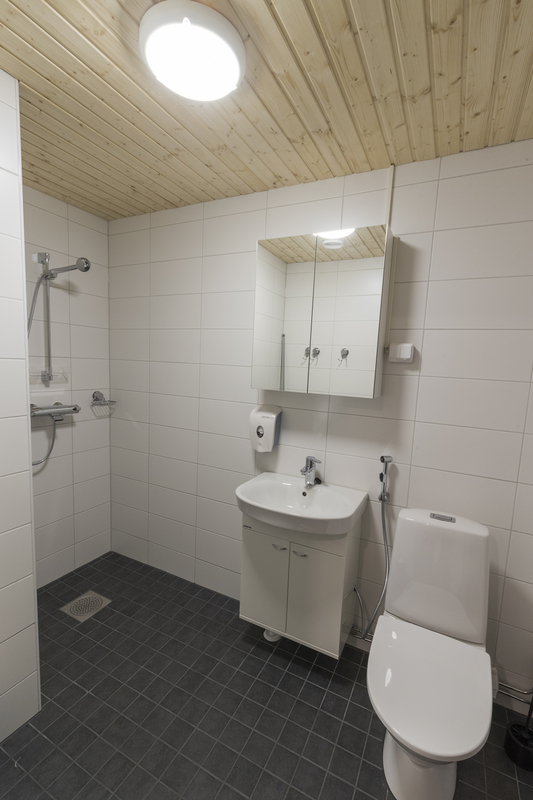 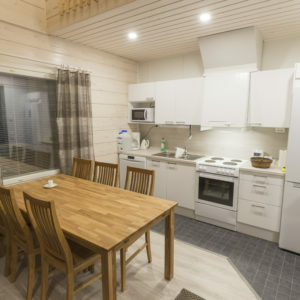 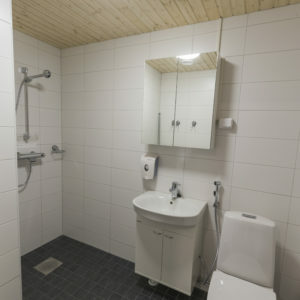 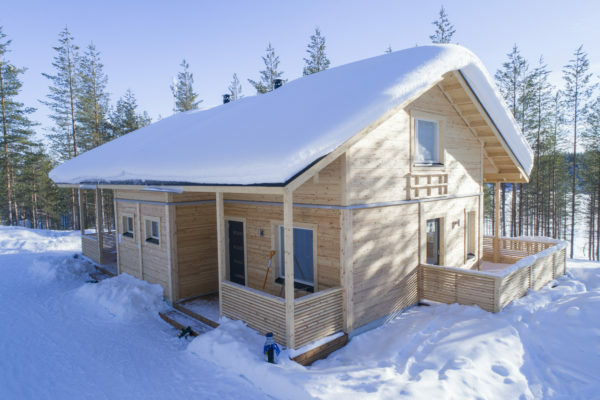 The semi-detached houses provide all year round accommodation and are warmed by ecologically friendly geothermal heating. 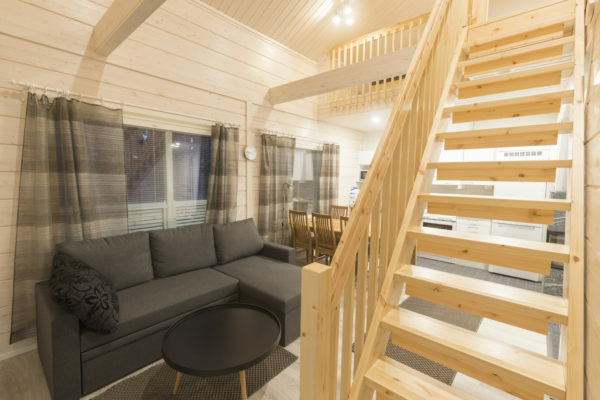 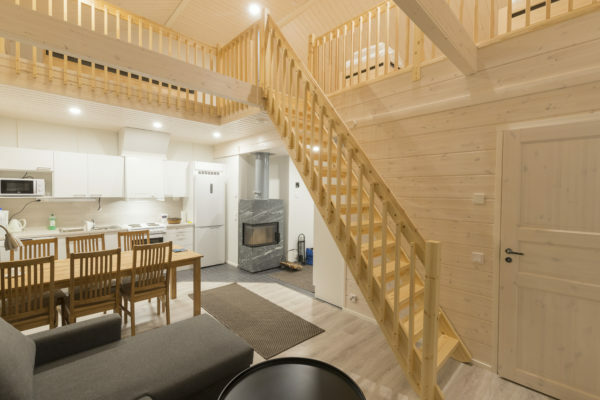 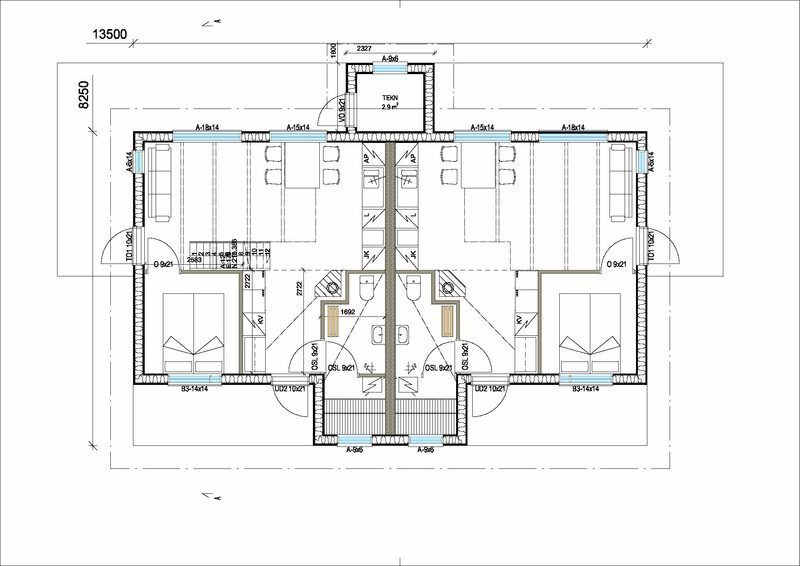 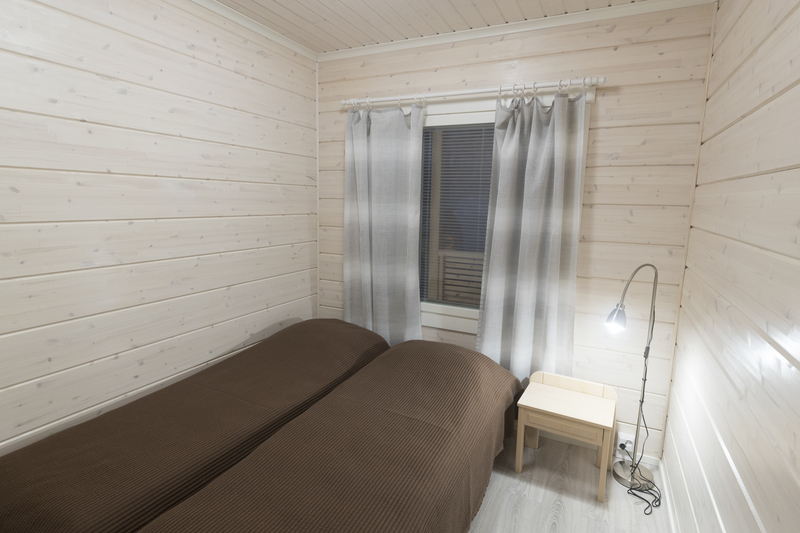 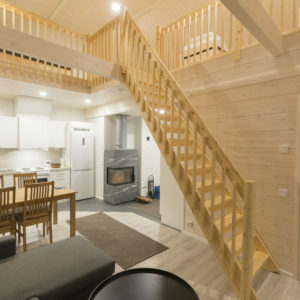 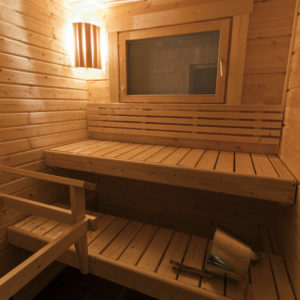 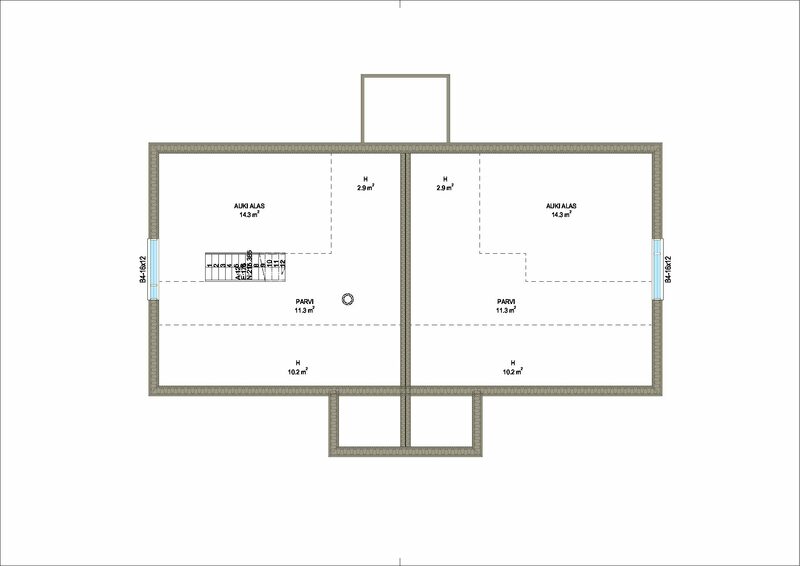 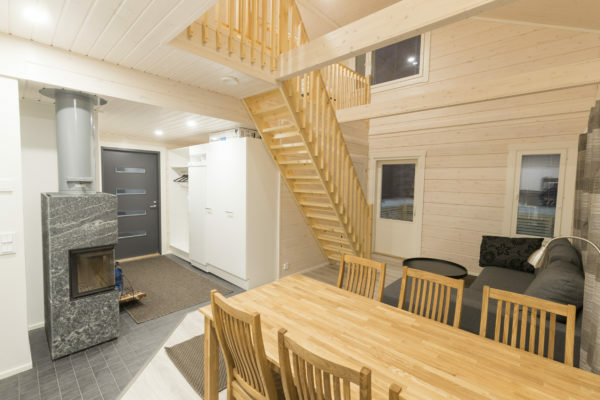 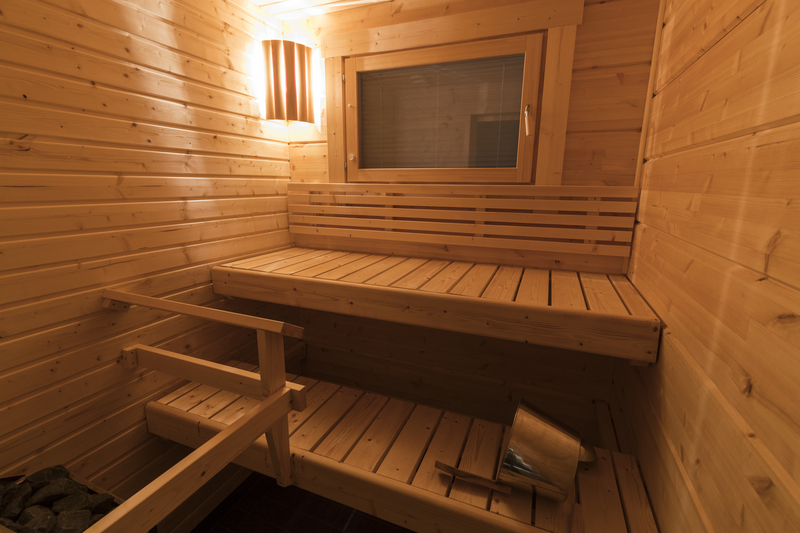 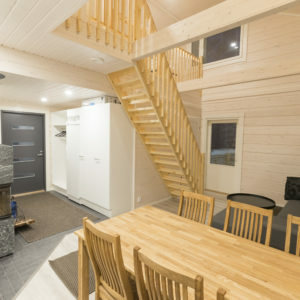 The lower floor has a living room / kitchen, a bedroom, a sauna and a fireplace. 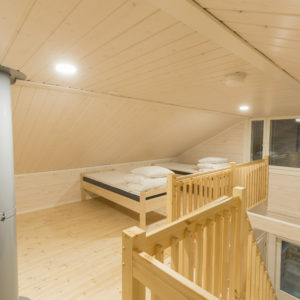 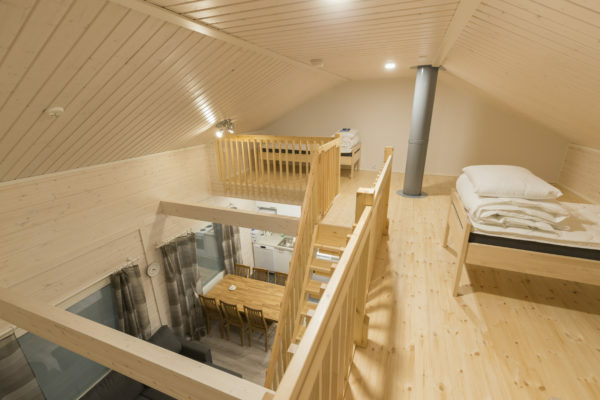 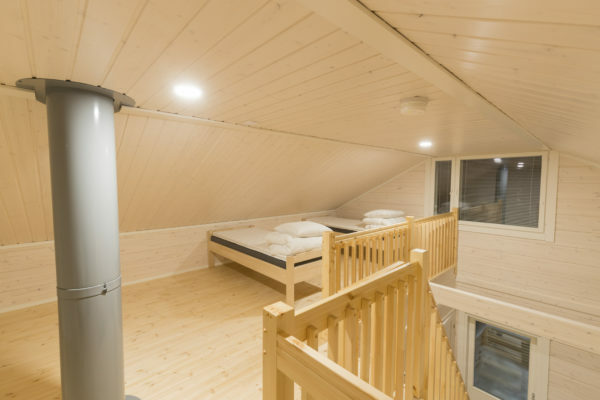 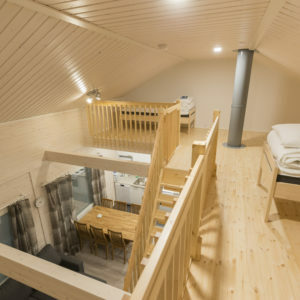 The upper floor loft has a sleeping area for three people.